A couple months ago six year old Krymzen Sunshine and her ten year old sister Samara broken through the ice and would have drowned if it were not for the heroics of Edmonton's Adam Shaw and his dog Rocky. Adam pulled Krymzen out of the icy North Saskatchewan River and moment later when the current had taken Samara down river and further out - Rocky went in to save her as well. The story is reported in the video above. 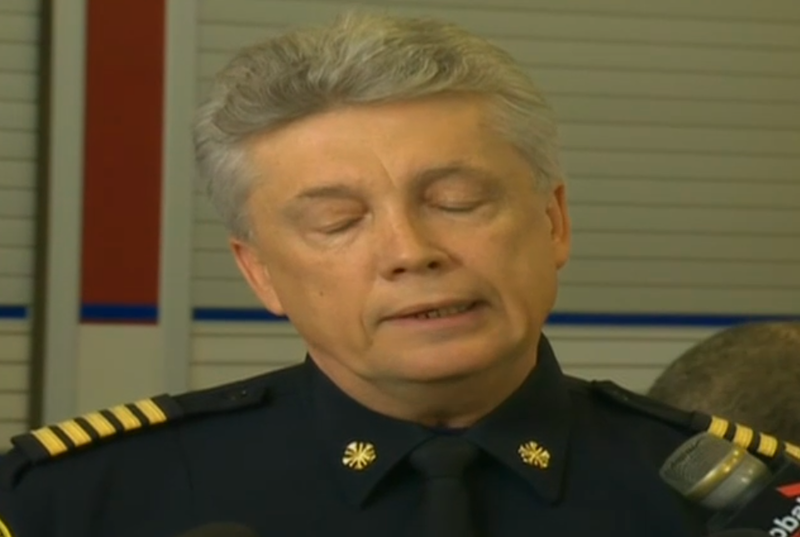 There is a great nonverbal example of a subtle and partial display of fear as Edmonton Fire Chief Ken Block thinks of & feels about the very close call and near-drowning of Samara and Krymzen. 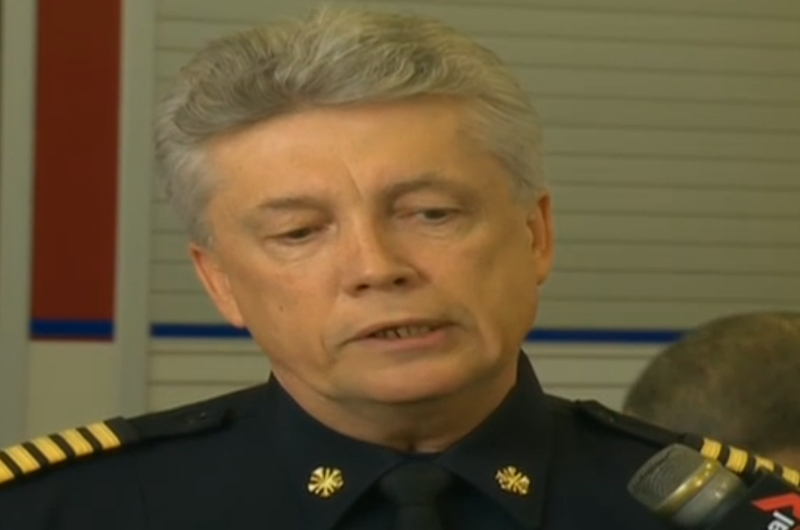 Longer in duration than a microexpression, however just as reliable of a nonverbal signal - the left corner of Chief Block's mouth pulls back and slightly down as he re-lives the close call in his mind and expresses the emotion of fear. Captured in this still image, this facial expression occurs several times during the 1:55 - 2:04 segment of the video above. A split second after the above image, Ken Block's mouth is still displaying this partial (left side only) and subtle (not fully expressed) example of a "Mouth of Fear" (1:57. Clustered along with this is a slightly prolonged blink (extended bilateral eyelid closure) which signifies that his psyche is trying to wipe the negative image of two drowned little girls from his mind's eye. Intellectually he knows this hasn't happened, but because he's seen similar disasters before, such an scenario is strong in his mind and this psychological blocking behavior helps to erase the negative emotional tone. Three cheers for Adam Shaw and Rocky!